Can you imagine not being able to read a newspaper, a road sign or directions on a bottle of medication? Sadly, this is a reality faced by many Aboriginal and Torres Strait Islanders living in remote Australian communities today. The Indigenous Literacy Foundation aims to raise literacy levels and improve the lives and opportunities of Indigenous children living in remote and isolated regions of Australia. This is done by providing books and literacy resources to communities and raising broad community awareness of Indigenous literacy issues. 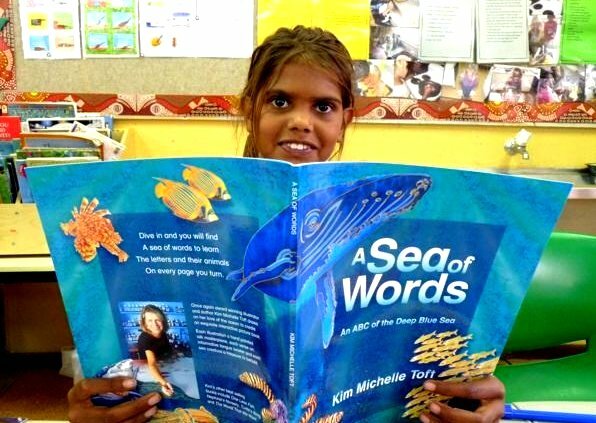 Over the past three years the Indigenous Literacy Foundation has sent over 85,000 books to more than 230 remote communities across Australia. The books that our Foundation provides are brand new and very high quality and are carefully selected by a committee of education and literacy experts. Indigenous Literacy Foundation has launched Book Buzz, an early literacy project and has worked with communities on specific literacy projects, including translating books into local language and recording Indigenous stories. The Foundation is an initiative of the Australian Book Industry drawing on its diverse range of expertise, skills and resources. It works with the support of the Australian Publishers Association, the Australian Booksellers Association and the Australian Society of Authors. Individuals can support the day by buying a book at a participating bookshop or making a donation. Participating booksellers and publishers can make a donation or give a percentage of sales. Schools can participate in the Great Book Swap or run fundraising events throughout 2013. Visit the website for ideas. Other businesses, bookclubs and libraries can support Indigenous Literacy Day – register online. Our mission is to make a positive difference in the lives of Australian Indigenous children by focusing on ways to improve their literacy levels. We believe that a young child’s future educational experiences can be greatly improved through enjoyable and positive engagements with books in the family and community environment at an early age. For more information, visit our website www.indigenousliteracyfoundation.org.au. Next PostNext Happy International Book Giving Day!